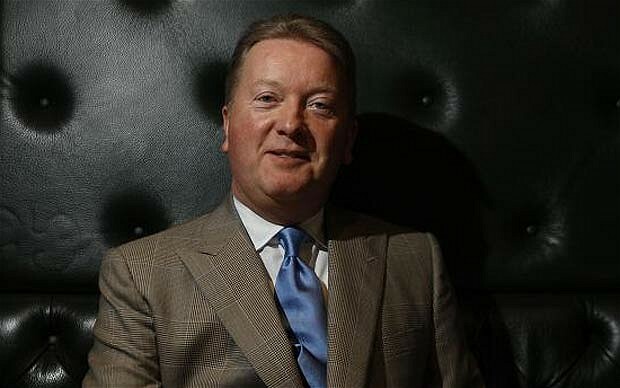 Veteran promoter Frank Warren believes unified heavyweight champion Anthony Joshua will sidestep a fight against the winner of December’s WBC title fight between Deontay Wilder and Tyson Fury in favour of a domestic opponent when he returns to the ring in April. “You’ve heard it and the message is there, they’re going to sign Dillian Whyte next. That’s the direction they’re going in,” Warren told the Alan Brazil Sports Breakfast. Last week it was announced that the Wilder-Fury fight has been signed for December 1, expected to take place at Los Angeles’ Staple Center. An international press tour to promote the fight started this fight. “The winner of this fight, which I hope and believe will be Tyson, should be in the ring to find out who is the best,” said Warren. “I said a long time before about Wilder fighting Joshua ‘he won’t – he’ll sign Povetkin’ and that’s what happened. “The bottom line is this is what should happen. “The winner of this fight, which I hope and believe will be Tyson, should be in the ring to find out who is the best. “[Muhammad] Ali, [Joe] Frazier too and [George] Foreman all fought each other – the best fight the best. “Barry Hearn said Anthony Joshua’s the number one but that’s his opinion and some people think it’s Wilder and some think it’s Tyson. “If he beats Wilder, I think Tyson’s number one but the only way to find out is to let them all face off against each other. Fury has been on the comeback trail since May when he won his first bout since defeating Wladimir Klitschko for the WBA, WBO and IBF world titles in November 2015.